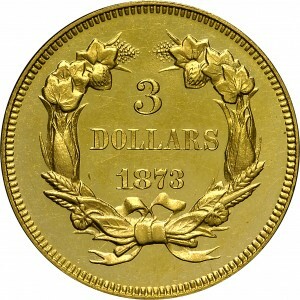 This is a stunning example of the Open 3 variety, struck before the Closed 3 coins. 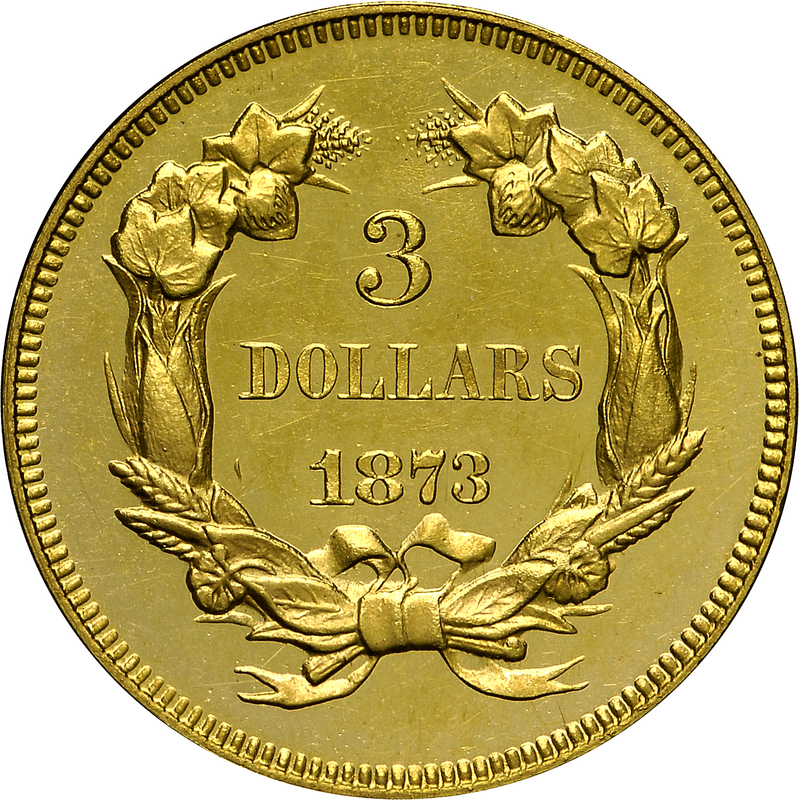 In most denominations the Closed 3 variety was struck first, with complaints to the coiner that this date resembled 1878. Just 25 proofs were struck on February 18 with about 10 surviving today. A faint die crack from the left corner of F in OF identifies this as one of the so-called Originals, this die later being used for 1874 and 1875 Proof coinage. 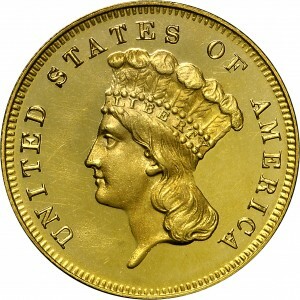 From RARCOA's sale of the Harry X Boosel Collection, April 1972, Lot 672.